Pottery is the baked-clay wares of the entire ceramics field. For a description of the nature of the material, see clay. 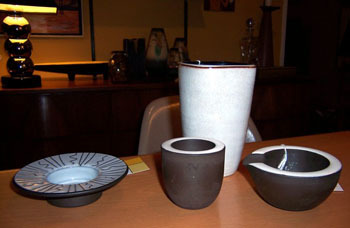 Pottery is formed while clay is in its plastic form. Either a long piece of clay is coiled and then smoothed, or the clay is centered upon a potter’s wheel (used in Egypt before 4000 B.C.) that spins the clay while it is being shaped by the hand, or thrown. Decoration may be incised, and the piece is allowed to dry to a state of leather hardness before firing it in a kiln. 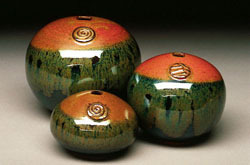 The type of finish, depending on the kind or number of glazes, dictates the total number of firings. 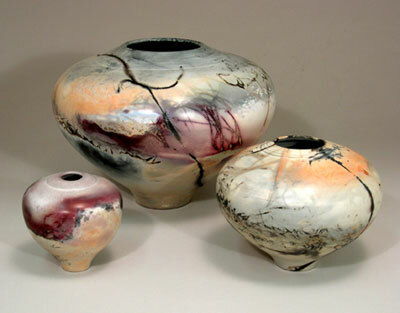 When slip and graffito are used, they are applied before the first firing. There are two types of fires—reducing and oxidizing. The former removes oxygen while the latter, a smokeless fire, adds it. 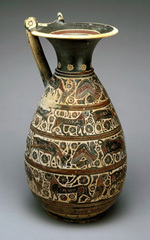 Reduction and oxidation change the color of the fired clay and gave early potters their palette of red, buff, and black. Pottery is one of the most enduring materials known to humankind. In most places it is the oldest and most widespread art; primitive peoples the world over have fashioned pots and bowls of baked clay for their daily use. 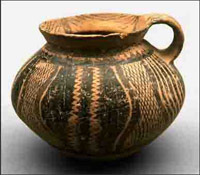 Prehistoric (sometimes Neolithic) remains of pottery, e.g., in Scandinavia, England, France, Italy, Greece, and North and South America, have proved of great importance in archaeology and have often supplied a means of dating and establishing an early chronology. Pottery has also been of value as historical and literary records; ancient Assyrian and Babylonian writings have been inscribed upon clay tablets. Simple geometric patterns in monochrome, polychrome, or incised work are common to pottery of prehistoric and primitive cultures. By 1500 B.C. the use of glazes, such as the famous greens and blues, was known in Egypt. 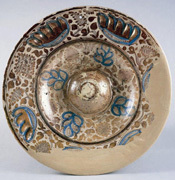 Especially noteworthy is the early Aegean pottery of the Minoan and Mycenaean periods with its curvilinear, painted decoration. In Assyria and Neo-Babylonia, painted and glazed bricks were in common use. The Ishtar gate in Babylon, with its ceramic reliefs, is an early example of the majolica technique. Painted pottery of the Neolithic period has been found in China. By the 2d cent. B.C. the Early Han period had developed a green glaze which may have come from the Middle East. In the Sui period (A.D. 581–618) and the T’ang period (618–906), porcelain and porcelaneous ware (the envy of the Western world) began to be made and exported to Korea and Japan and to the Islamic world. Technical knowledge, however, was not exchanged, and Islam made no true porcelain. In Philadelphia fine china was made (1769) for the first time in America. The potteries of Bennington, Vt., which opened in 1793, were known especially for their stoneware jugs; a variety of stoneware was also produced in several locations in New York state. East Liverpool, Ohio, since 1839 one of the foremost centers of the industry, produced the first American Rockingham ware. 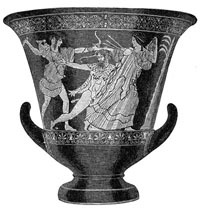 Also widely produced in the United States were redware, ironstone, and yellowware. Another center, begun in 1852 at Trenton, N.J., made fine Belleek or eggshell china. 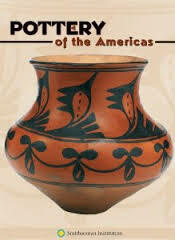 The Centennial Exposition of 1876 in Philadelphia and the World’s Columbian Exposition of 1893 in Chicago did much to awaken native consciousness of pottery as a form of art.